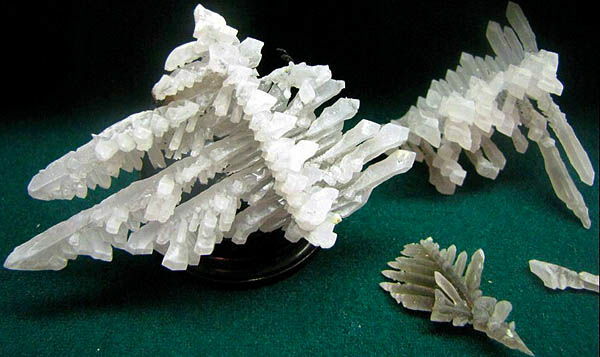 Has a that structure, what Halite, Mine Rock Salt, but his crystals have other external symmetry often. If admixtures are not present, mineral is colourless, but due to including of different components easily acquires rather yellow, greyish and other tints. A strong-smelling gum resin obtained from the stems of the N Asian umbelliferous plant Dorema ammoniacum and formerly used as an expectorant, stimulant, perfume, and in porcelain cement. Chemical composition (chemistry, compound) is maintenance (in %): NH4 - 33,72; Cl - 66,28. Often contains the far of Fe (probably, as submicroscopic ingrown chlorides), Vr - to 0,12%; from data of spectrology are tracks of Su, Ag, Co, Ni, Zr, Mo-permalloy, Ga, Cr, V, Va. As an isomorphous admixture can contain at a room temperature to 3,24 Ksl. Transparency - the Transparent crystals from the deposits of fumarole at a cooling-down on air cracking and grow turbid, dim, cloud. Plastic; in powder worn down hardly. Cleavage - on (111) noperfect absolute. Aggregates are loose earthy the masses, fluffy needle-shaped raids; Druses of crystals, stalactites, hollow growths, wandering crusts. tear-shaped, drop-shaped forms are in niches and caves, fan-shaped, шестоватые. cellular and parallell-fibred aggregates; sometimes fills the pores of lava, cements the pieces of lava, composes the mouths of some fumarole (a vent in or near a volcano from which hot gases, esp steam, are emitted). Crystals of tetragonal-trypanosomiasis, rhombo-dodecahedron, now and then cube type. Often extended on the ax of the third or fourth order and pseudotrigonal have, pseudotetragonal, rarely pseudorhombic type. Ammoniac rather plastic, hardness to parcel up him in powder. Warmed up together with solution of caustic soda, diffuses the strong smell of ammonia (unlike halite (NaCl, salt), sylvite (KCl, caustic) and other). Easily vanishes without melting with formation of smoke; in closed tube sublimated, not fusible; at heating with lyes and at a meltback with a soda is a smell of ammonia. Typical product of volcanic activity. There is not single opinion concerning the source of ammonia. One scientists consider that he appeared as a result of decomposition of vegetable matter, recovered and burnt lava. Other adhere to opinion, that he arose up as a result of operating of aquatic steams (present in a volcanic magma) on some compounds, for example on nitrates of iron. There is a point of view, that an ammonia formed of atmospheric nitrogen, chemically CPLD under act of natural catalysts. 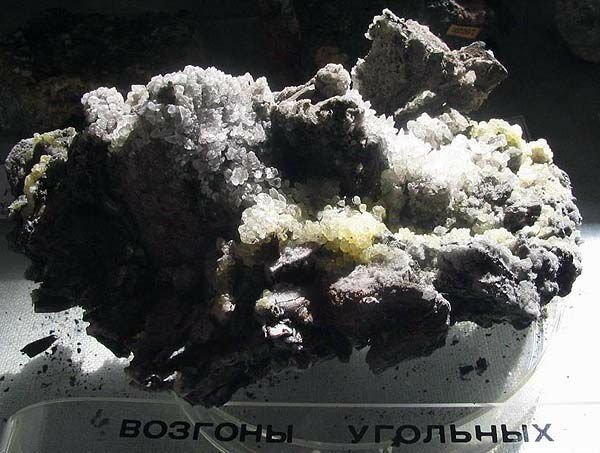 Ammoniac is observed also in the burnt rocks, appearing at underground combustion of coal layers. Present among the products of volcanic sublimation in numerous volcanic fumarole round Vesuvius (a volcano in SW Italy, on the Bay of Naples: first recorded eruption in 79 AD, which destroyed Pompeii, Herculaneum, and Stabiae; numerous eruptions since then. Average height: 1220 m (4003 ft.)) and Etna (Mount Etna an active volcano in E Sicily: the highest volcano in Europe and the highest peak in Italy south of the Alps. Height: 3323 m (10 902 ft.)). Ammoniac. Mine pit N7\8 the name of Kalinin, Donbass, Ukraine, CIS. A photo: © A.A. Evseev. near Ravat, Tadjikistan, Middle Asia, CIS, Yagnob. A photo: © A.A. Evseev. Can be characterized in a number of properties and effects, such as: by critical mass; by variation of fragments; intensive fire/thermal heat stream; bright flash; loud noise or smoke. AMMONIAC SALTPETRE, nitric acid ammonium, nitrate of ammonium (ammonium nitrate; n. Ammonsalpeter, Ammoniumnitrat; and. nitrato amoniso, salitre amoniacal) is a weak explosive, got co-operating of ammonia with an aquafortis. Utillized as an oxidant in composition industrial explosives. On power parameters approximately in 3 times yields to the trotyl. Characterized low detonation ability. Ammoniac saltpetre is hygroscopic friable crystal powder of white color. 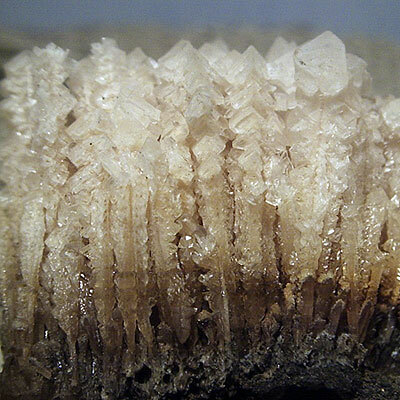 With growth of temperature the hygroscopic point of saltpetre falls down, and speed of moistening increases; ammoniac saltpetre slezhivaetsya. Apt at the samouskoryayuschemusya thermal decomposition. At the strong heating can burst; the danger of explosion increases in the reserved apartment, cooperant growth of pressure. Fire safety and explosion-hazard of ammoniac saltpetre higher at presence of in it admixtures of organogenic, and also at corking in combustible materials. Thermal firmness of ammoniac saltpetre lower carbonhydratess, starch, saccharides, glucose, the presence of nitrite salts and aquafortis is especially dangerous. 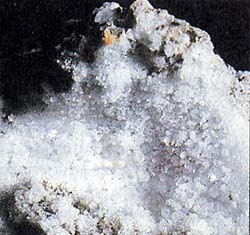 Ammoniac saltpetre is stabilized by an urea, Urotropinum, carbonates. Ammoniac saltpetre however utillized an independent explosive is not from small energy of explosion. Names of explosive matters in different countries and on different languages are raznye, and matters can be identical or even chemical synonyms (a the same formula carries the different names). In this compound in XXI in. the internationally-acknowledged system of DOPOG (DOPNV) MVDU was entered with the least of text part and maximal symbolism, numeration of numbers - Arabic, and the extended international codes of UNO of products. Ukraine supports the international marking of dangerous loads at their transportation and safety security of our roads assists (besides the superimposed legal entities, reports of physical persons, acts of acceptance over of works, ground and accompanying folias, travelling allowance, experience of work, profesii and other accompanying documents). Water-based explosives apply for the opened and underground works in dry and watered mountain ragstones, where the high concentration of energy of explosion is needed. Depending on maintenance and viscidity of gelatin distinguish viscous-flow, thick-flowing, studenistye and heavy, high-viscosity, high-viscous plastic Water-based explosives. Water-based explosives are made in place of application, plastic and studenistye Water-based explosives (aquanitess, akvanaly) - in factory terms; they are produced in the polyethylene packing as cartridges of different diameter (mainly, 160-200 mm). Water-based explosives provide the high closeness of loading of shpurov and mining holes, near to the own closeness, and high by volume concentration of energy in a charge chamber. The use of Water-based explosives on separate mountain enterprises arrives at 20% from the general volume of the applied explosives.